Rio Salado College | RioNews: Summer Culinary Workshops Begin June 14! 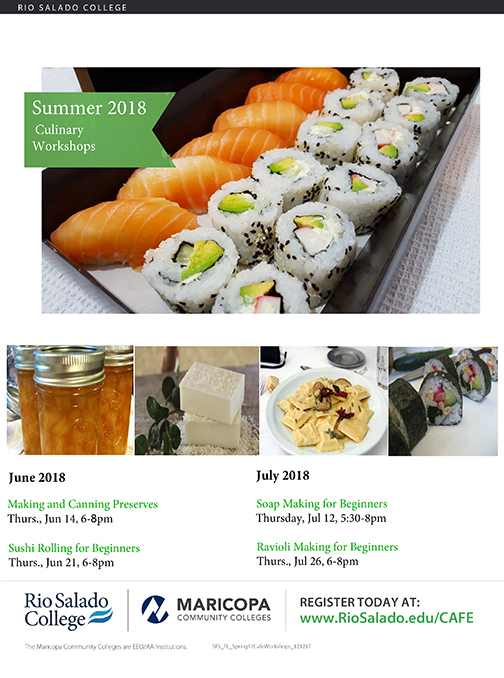 Summer Culinary Workshops Begin June 14! Looking for a cool, culinary adventure this summer? Join the Cafe at Rio team for four community education workshops to learn about canning and preserving, soap making, sushi and ravioli! Your first adventure begins June 14 with a lesson on how to make your own fruit preserves and safely can them.